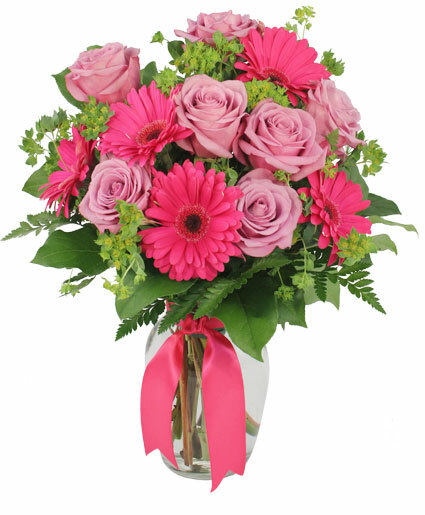 Show your devotion with a romantic bouquet filled with lavender roses and hot pink gerberas. This arrangement is featured in a 7" vase. Call us or order online anytime! CELEBRATE with this lovely SPRING RETURNS Basket! 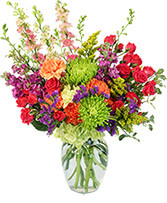 Pave the way for warmer weather with spring flowers from State Fair Floral. Call direct or order a spring flower arrangement now from our website.